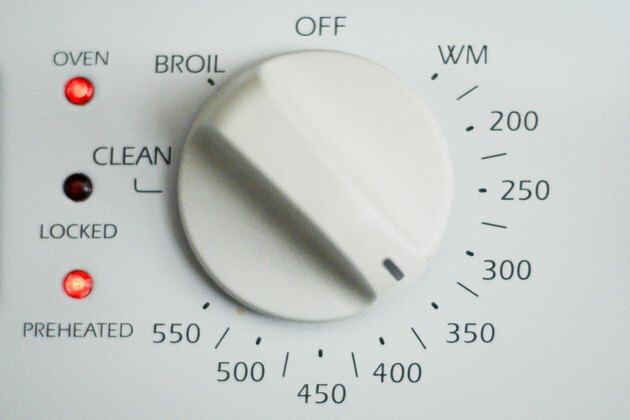 Thick-cut, bone-in pork chops turn out juicer than thin-cut, boneless pork chops, which are easy to dry out by overcooking. 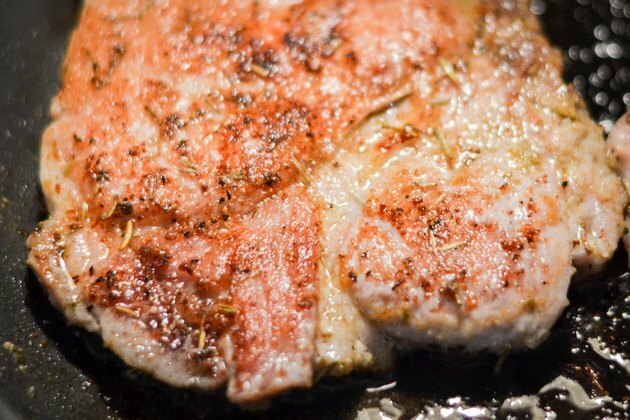 When you cook pork chops, there is no need to buy huge, 10- or 12-oz chops. A 3-oz pork chop is an ideal serving size, with 197 calories and 9 g of fat. If you can only find large pork chops, buy the 6-ounce size and cut them in half. 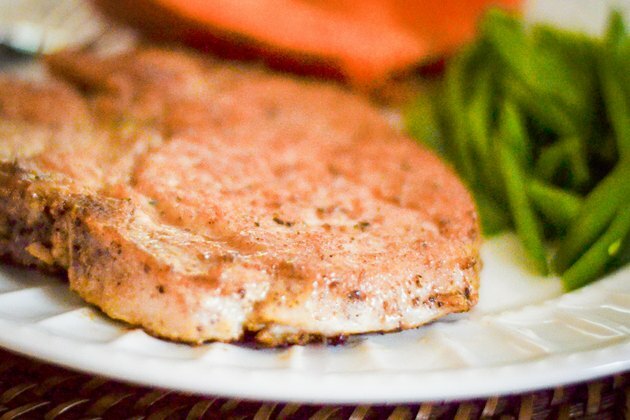 A 3-oz pork chop contains 27 g of protein and is a good source of thiamine and riboflavin. 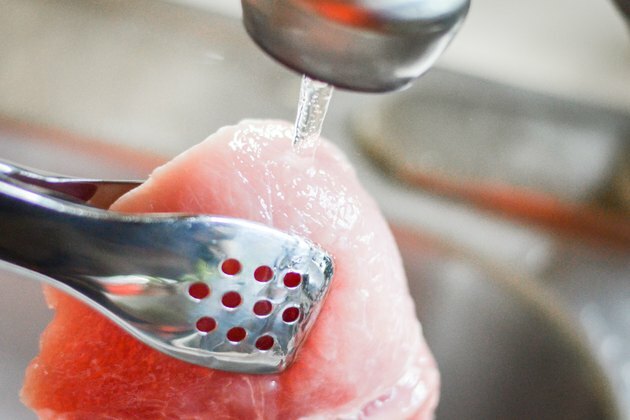 Wash the pork chops under cold running water. Pat dry with paper towels. Heat the olive oil in a large ovenproof skillet over medium heat. 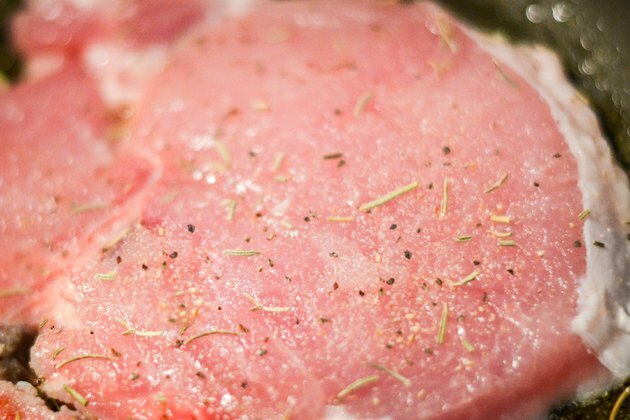 Preheat the oven to 350 degrees F.
Sprinkle the pork chops on both sides with salt, pepper, rosemary, sage, marjoram and garlic powder. 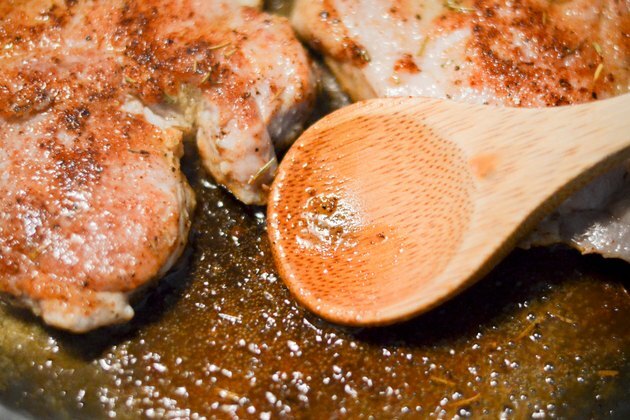 Place the pork chops in the skillet. Cook the pork chops for about 5 minutes per side, or until they are a nice, brown color on each side. Add the wine and apple cider to the pan. Stir to deglaze the pan. 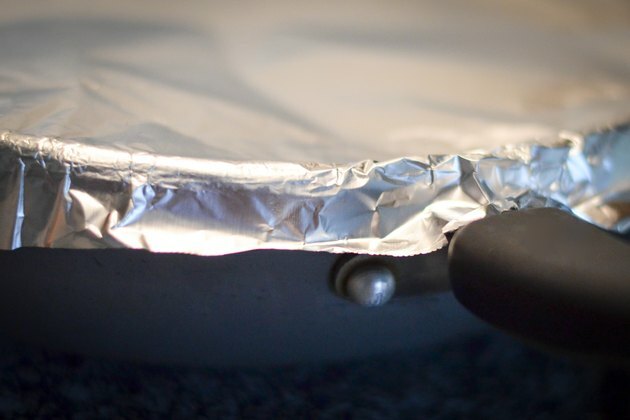 Cover the skillet tightly with tin foil and place in the oven. 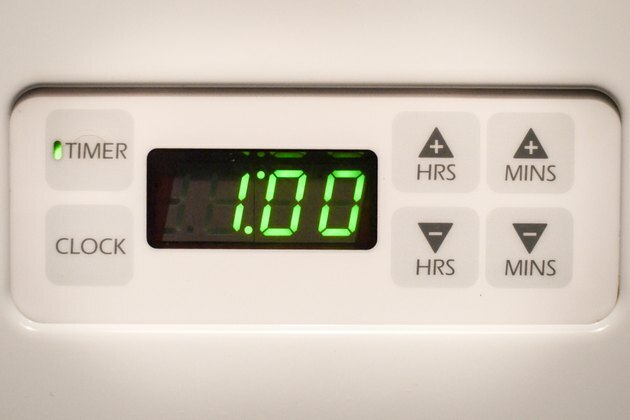 Bake the pork chops for 1 hour, or until fork-tender. Serve immediately. Serve with baked sweet potatoes, apple sauce and steamed green beans for a complete meal.